I'll take them one at a time in my own reading order. 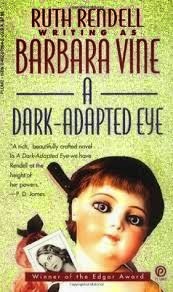 My personal favorite: A Dark-Adapted Eye. "In these circumstances alone one knows when someone is going to die. All other deaths can be predicted, conjectured, even anticipated with some certainty, but not to the hour, the minute, with no room for hope. Vera would die at eight o'clock and that was that." "takes its victim, ...feet foremost through the floor, Into an empty space." 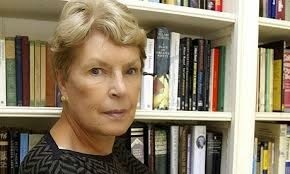 Clue number two: Vera's name is on the spine of a book along with those of Ruth Ellis and Edith Thompson. 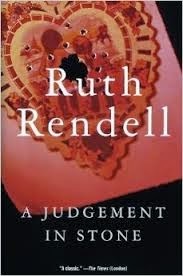 From just that small bit of info, Rendell (here writing as Barbara Vine) goes on to tell a story that illuminates that old adage that nothing is at all as it seems, and does so by alluding to bigger events to come while only providing tantalizing little bits of information until you've got the entire story. It's those tantalizing little bits that will keep you moving forward in this most excellent novel. I could go on all day about this book because it is so very good, but I have four more "key" works to go. 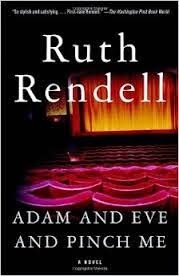 Adam and Eve and Pinch Me is another great story, this written time as Rendell, but I wouldn't have been at all surprised to see Barbara Vine's name on this one. Adam and Eve and Pinch Me has that wonderful claustrophobic feel I love to find when I read, largely due to the fact that a lot of the action takes place in main character Minty's head. "Minty knew it was a ghost sitting in the chair because she was frightened. If it were only something she'd imagined, she wouldn't have been afraid. You couldn't be when it was something that came out of your own mind." "...d'ye reckon anyone does wrong if they don't know it's wrong?" 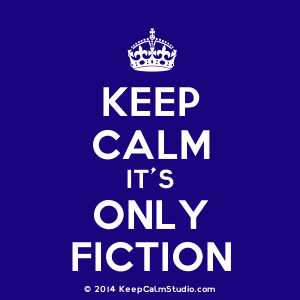 "After a while you stop distinguishing between the fantasy and what really happened; you don't know the reality anymore." 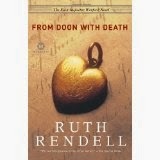 "Eunice Parchman killed the Coverdale family because she could not read or write"
is the reader's first step into a most claustrophobic world of an illiterate woman and how her disability comes to set her on a path of sheer tragedy. The book also continues the author's penchant for writing misfit characters -- and for me, this is really a huge part of the attraction. Another most excellent novel that I can definitely recommend. I'm actually torn choosing between this one and A Dark-Adapted Eye for my real-world book group -- both would result in incredible discussions. 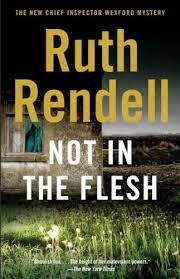 Rendell's method for her future works, in which the crimes prove to be much less the issue than her characters and their individual psychologies. And, as in all of her books, Rendell does not fail to show how past actions continue to reverberate through the years and find their way into the present, usually with disturbing consequences. So there you have it ... my favorites of this group are the first three, which I would agree definitely should be included in her key works. At the same time, she has written a number of other most excellent novels that should not be overlooked, and I'm eagerly awaiting (and have already preordered) her Dark Corners, due out in October. I'm sure I will not be disappointed.